The Florida Panhandle's Premier Skin Care Center for more than 40 years! 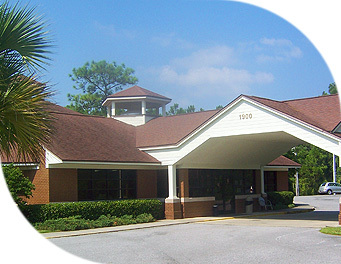 For over 40 years, Dermatology Associates Skin and Cancer Center's physicians have provided skin care and skin cancer treatment for the families of Northwest Florida. Whether you need general acne scar treatment, outpatient surgery, or cosmetic services, you can be confident that you will be treated by highly trained physicians and staff. Our Dermatology office is dedicated to helping you at every stage of your visit in our office. We take great pride in caring for you and the health of your skin. We also offer the areas first Mohs Fellowship Trained and Board Certified Physicians for the treatment of skin cancer. Our staff is friendly, courteous, and will assist you with your questions regarding appointments, insurance issues, examinations, consultations, and referrals. Our Physicians work with patients of any age to treat skin-related problems or concerns. We are your one stop shop for acute or chronic, medical, surgical, or cosmetic skin issues! Each treatment plan is designed around the individual needs and convenience of each patient. No matter the skin issue troubling you, the skin specialist at Dermatology Skin and Cancer Center will skillfully and compassionately care for you. "The office staff is very pleasant and helpful. Dr. Siragusa and his staff are very efficient and friendly in every aspect, they make sure you understand everything before they do it."